Show everyone you're the ultimate fan with the Nfl officially-licensed New England Patriots NorthEnder Guitar by Woodrow. Since 1960, the Patriots have racked up Super Bowl victories and appearances, which is one of the many reasons this limited-edition guitar is the premier choice. With a limited number of 100 being produced, each guitar features an individually numbered plate at the base of the solid maple neck to ensure admirers of its authenticity. The base of the guitar is embellished with a custom-designed background of nautical blue, silver, white, and red, which allows it to embody your love for the Patriot. 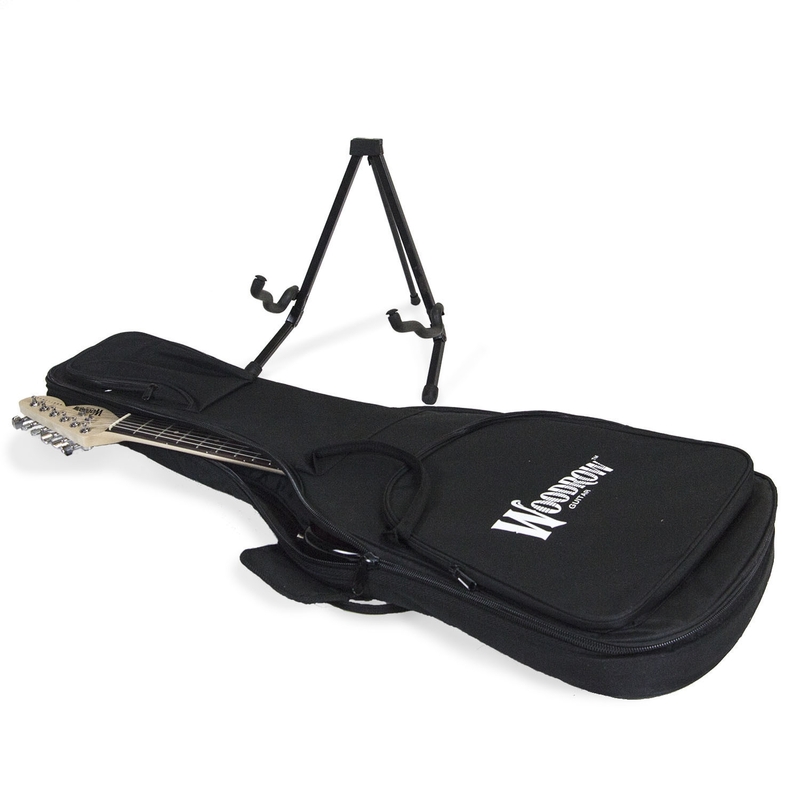 As an added bonus, every New England Patriots NorthEnder Guitar includes a Woodrow-branded guitar bag as well as a guitar stand. Showcase your New England pride with the Nfl officially-licensed, highly-collectible, timeless work of art. Get in the game and order the New England Patriots NorthEnder Guitar today.